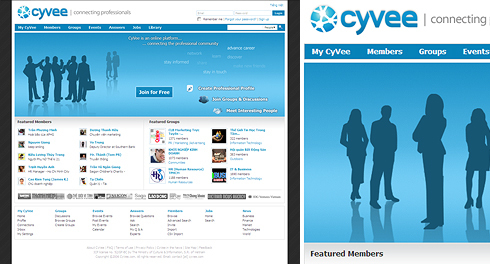 Founded by Dang Ho JSC in March 2007, CyVee is the first online and offline social networking site for professionals in Vietnam. It provides a community platform on which users can identify, network, and share among people with common interests, relevant expertise and geography to unlock opportunities. Dang Ho also operates Vietladders – an exclusive web-based career community for senior and management level professionals, similar to the model of Theladders.com. Companies search Vietladders for candidates and then pay the candidates to interview for open positions.